Put simply, in a bid to further reduce the impact heating appliances have on our environment, the bodies that govern our industry (DEFRA, Stove Industry Alliance and HETAS) have introduced stricter guidelines concerning efficiency levels and particulate matter by which a multitude of appliances manufactured after 1st January 2022 and sold in the UK (and Ireland) must adhere. These will be known as Eco Design 2022 Ready. The primary areas of focus for the Eco Design directive are reduced particle emissions, lower Carbon Monoxide emissions and improved efficiency levels through better fuel standards and sustainability. Local councils will also be handed greater power to enforce the Eco Design Ready Scheme in their region. Will my existing stove be legal after 2022? Assuming you are a responsible stove owner with a HETAS certificate and using only fully-seasoned approved fuels, then you will not be affected by the new regulations as it will only concern stoves manufactured (and subsequently, purchased) after 1st January 2022. You may wish to consider improving your existing stove however with the installation of an electrostatic filter (pulls the particles from the exhaust fumes before emitting into the atmosphere), using wood approved by Ready to Burn and ensuring you book in a minimum of two chimney sweeps a year. Why should I consider an EcoDesign 2022 Ready stove today? What can be better than making a difference now and start personally contributing to a proposed reduction in UK carbon emissions by two million tonnes per year? 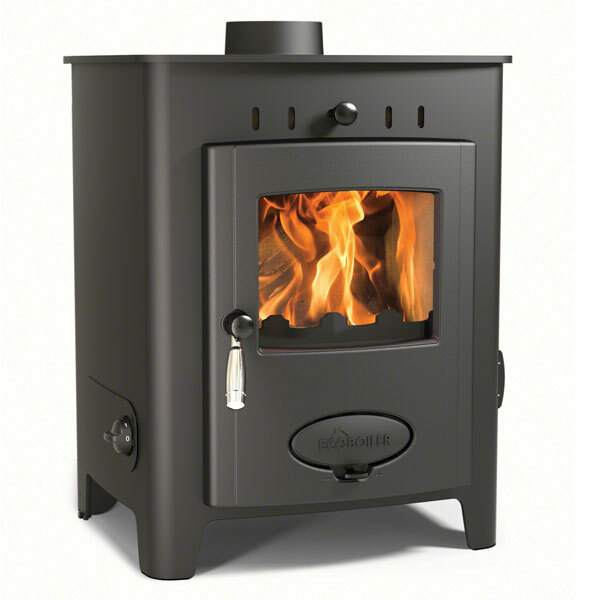 By purchasing an Eco Design Ready stove, you unlock the full potential of a modern, highly-efficient wood burner which could slash your particulate emissions by up to 84% vs your existing stove (SIA research), cut fuel costs and reduce your carbon footprint on the planet whilst continuing to enjoy all the benefits you love from your woodburning stove. You can even dispose of your old stove responsibly through the nationwide Stove Scrappage Scheme. As a HETAS approved and environmentally aware stove retailer, here at Glowing Embers we will always promote the correct operation of wood burners in conjunction with approved fuels to ensure complete adherence to all current DEFRA, HETAS and government regulations and guidelines and fully embrace the Eco Design 2022 Ready initiative. Ignoring the sensationalised and false headlines that all stoves are to be banned, the new limits on emissions align our products with the world we exist in today and permits us all to continue enjoying the back to basics tradition of solid fuel heating appliances, responsibly. Lighting a multi-fuel stove with coal is pretty similar to light any fire, only with the addition to the wood needed to start it. This easy, step-by-step guide will show you how to light your multi-fuel stove in no time at all and show you how easy it is to achieve. First of all, clear out any excess debris at the bottom of the stove, such as ash and charcoal, including the ash pan below the grate. Make sure to leave a thin layer at the bottom of the fire box however as this will help insulate the fire when you start it. Finally, open up the Air wash and Primary Air control system to allow air into the firebox and keep the stove glass clean. Before doing anything, you will need a base upon which the fire can take hold. This is done by first placing a firelighter or two at the centre of the fire box. Make sure this is behind the log guard at the front. Around the firelighters build a small pyramid using kindling, leaving plenty of gaps to allow air to fow to the fire. With the firebase built, use a match or a lighter to light the firelighters. Allow these to burn and for the kindling to catch alight and, when burning vigorously, carefully add more kindling to the firebase. Make sure you do not smother the fire however and only begin adding larger pieces of wood when the blaze has taken hold. At this point, close the stove door but making sure to leave a small gap to allow the fire to breathe. When the fire seems to be burning well and white embers begin to form at the bottom of the fire, you can start adding coal to the fire. Carefully open the stove door using a heat proof handle or a thick cloth and then gently begin adding a few small coals to the firebase. Be careful not to collapse the firebase at this point as this could smother the fire. As the first few coals begin to catch fire and glow you can then start adding more and larger coals on top of these, making sure to stack them with gaps in between the coals. Now you can enjoy a glowing coal fire inside your multi-fuel stove, topping up the coal when needed. Wood burning stoves should be cleaned at least twice a year and three times if used regularly. Whilst the process can seem daunting and messy, this simple step-by-step guide will get your wood burning stove looking as good as new with as little hassle as possible. Either a paste made of ash and water or a commercially available log burner glass cleaning paste/spray. The first thing to do is light a small fire to loosen the soot inside the log burner. When the fire is out and the stove has cooled, then you can begin cleaning it. Placing the old towels or dust sheets around the log burning stove, put on the rubber gloves and then place some newspaper around the immediate area beneath the stove. Using the fire brush and metal scoop/spade, clear out any ash or pieces of wood inside the wood burning stove and place them in the metal bucket or scatter them out across the garden after 24hours (ash is very good for plants). With all the ash and debris cleared out, rub some damp rags across the interior to get rid of some of the soot and then dry the interior with some paper towels. With the interior finished, you can then move on to the glass door. To begin with, use a wet rag to apply the ash paste or glass cleaning paste to the inside of the glass door, making sure you cover the whole surface of the inside glass. If you are using a spray instead, take the stove door off, if you can, and spray the inside of the glass door, leaving the liquid to soak for a couple of minutes. When the interior of the glass door has been covered with your chosen paste or soaked in the spray, take a clean damp cloth and begin rubbing off the product, making sure to get rid of all the black patches on the glass. When it looks like most of the soot has been removed from the glass, scrunch up some balls of newspaper and begin wiping off the murky paste mixture until the glass looks clear. Taking another clean cloth, dip it into the vinegar solution and wipe off any streaks left in the interior of the glass door, giving the glass a final wipe with a damp cloth just soaked in water and a dry one to finish. You can use a window cleaner on both sides of the glass door if you wish at this point however this is not necessary. With the interior done you can now look at the exterior of the wood burning stove. This step is optional as the exterior of the stove will need cleaning far less frequently than the interior. However if you do want to clean the outside metal surfaces of the stove, get some more old rags/cloths, some warm water and the stove polish or paste. Wash the exterior once with a damp cloth soaked in the warm water. Clean the damp surfaces with paper towels/or rags until reasonably clean and then apply a very thin layer of the stove polish or paste all over the exterior metal. After the polish/paste has been applied to all the metal surfaces on the outside of the stove, take an old rag and begin rubbing it into the surface. Wipe off any excess and then light a small fire to seal the polish on the stove and then you’re finished. 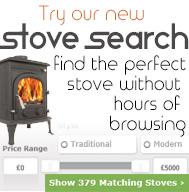 Having a wood burning or multi fuel stove may seem like an extravagance or a luxury fitting for your home. 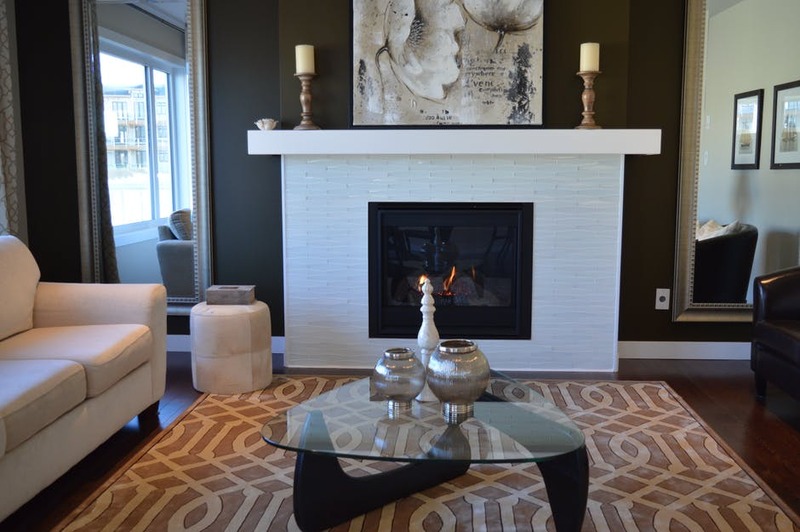 However, having a stove installed in your house will provide you with much more than a decorative centerpiece for your living room, greatly increasing both the efficiency and warmth of your home as well as saving you a lot of money in the long run. Modern log burning and multi fuel stoves are perhaps one of the most effective ways to heat your home when used correctly. By trapping the heat and combustion of the fire in a closed space, stoves are far more efficient at heating a room than open fire places and their metal structure also helps emit the heat they produce. Most modern stoves are also built with multiple air vents to keep warm air flowing out of the stove and allow cool air in, helping the fire burn at maximum efficiency. Installing a stove fan can also greatly increase the heat spread of a stove, pushing the warm air further away from the fire and out into the surrounding room and house. There are also a few ways you can increase the efficiency and heat production of a stove even further. Using dried, seasoned wood makes for a cleaner and hotter combustion within the stove and is also a far greener fuel to use than coal. Another fuel option that can help increase the heat production and efficiency of a stove is Eco Fuel. Eco Fuel is designed to burn cleanly and slowly, producing consistent high temperatures for a long time, especially within the enclosed space of a stove. Because they are confined to one particular room, it might seem stoves are rather limited in where they can provide heat for your home. However, a wood burning or multi fuel stove can in fact heat far more than your living room and can even heat your whole home. By installing a back boiler or integrated boiler into a stove it is possible to connect it to the central heating system of your home. Depending on the size of your house, you can either use this to contribute towards an existing boiler or be used to heat the vast majority of your radiator/hot water system. If used in this way, a stove will not only heat the room it is within, but the whole house, as well as saving money on your energy bills. If you really want to make the most out of your stove you can even connect it to underfloor heating systems, providing further warmth and comfort for the house. Whilst stoves are an incredibly efficient way to heat your home, they are a number of other ways you can increase the heating efficiency of your home and make sure none of it is wasted. Insulation: This may seem like an obvious suggestion, however many households may have outdated insulation or you may simply assume your house is insulated when in fact it’s not. Making sure you have modern insulation in cavity walls and the roof can keep huge amounts of heat in your home, increasing its energy efficiency and saving a lot of money. Double glazed windows and closing curtains during the night will also help keep heat in the home. Checking your central heating: Even if subsidised by a stove, your central heating system needs to be maintained and updated to make the most out of the stove’s heat and your boiler’s. Cleaning out pipes or replacing them, as well as insulating them, can go a long way to increasing the efficiency of your central heating system and make sure you have an up-to-date combination boiler. Turn the thermostat down: turning your thermostat down by just a few degrees can save a lot of energy that would otherwise be wasted. This is particularly true if you have your stove burning, and whilst it is not healthy for your central heating system to be completely turned off, it’s certainly worth turning it right down when you are using your stove. Radiators: Fitting thermostatic radiator valves (TRVs) on your radiators will allow you to control heating within your home and turn it up or down, room by room, depending on your needs. This can be done in combination with a timed/digital thermostat to create ‘zones’ in your house that will be heated when needed. The efficiency of radiators can also be increased by making sure they are not blocked by any pieces of furniture or covered in any way. By taking these simple measures into account and using your stove as a main heating source in combination with your central heating system, your home will not only be warm and comfortable but incredibly energy efficient, saving money on your energy bills and making the most out of your stove’s heating potential.